Limited Time Offer - order the RY10 Pro Melter Applicator with Crackfill, and get three Crack Brushes absolutely free - a $165 value! Fastest Way of Filling Cracks at Walking Speed. No Experience Needed. Electric Start. Crack brush removes dirt, debris and vegetation from asphalt cracks & preps for filling. Minimum order: three brushes. 30 Pounds of Rubberized crack filler designed to seal cracks. 200 linear ft per box. A perfect accessory to our industry leading RY10-PRO Melter Applicator. Burn out vegetation or heat up old crack fill in cracks. The Industry Standard For Crack Seal Machines & It's Patented! The RY10 PRO has an enclosed halo base-burner system that prevents flame outs, melts crack filler 50% faster and saves 50% on propane costs. The 4-wheel designed RY10 PRO is safe, reliable, and efficient and by far our hottest seller. The RY10 PRO will save you time, energy and make you more money.....Guaranteed! The RY10 PRO has a flat-bottom steel melting plate that melts rubber crackfiller almost 50% faster than the traditional torch-fired crack seal melters, while also providing more even heat distribution. 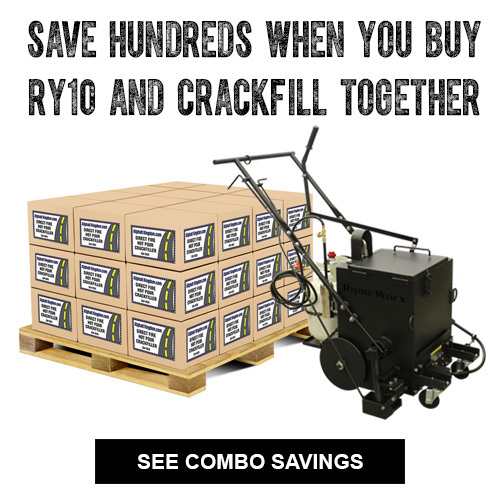 This allows you to start your crack repair jobs even faster with the RY10 PRO! The 50,000 BTU burner uses up to 50% less fuel than torch-fired melters. Paired with the melting plate, you get more melting power without the heavy fuel usage. Our contractors report that they can run a couple of days on one standard 20-lb barbecue-style propane tank! This machine has fully electric push-button start design so that you don't need to try to use a striker or lighter to start. And if the flame blows out, our new auto-flame-out sensor will shut the gas off immediately. This increases the overall safety dramatically. The RY10 PRO is optimized for one-man operation. The Application and Agitation controls are side-by-side, so you can easily keep your product mixed on the go. Melt and apply 3,500 feet or more of crack filler in a day. The crack machine thermometer is glycerin-filled and vibration-resistant. This means it will last longer than regular thermometers and you'll always have a clear display of the crack filler temperature. The PRO uses twin row bearings and grease fittings on the dual front casters, so you get greater tolerance for vibration and debris. Sturdier and quieter equipment lasts longer. The adjustable propane holder supports nearly all 20-30 lb propane cylinders. The flow valve on the RY10 PRO is removable, allowing you to properly clean and prevent old material buildup from slowing you down on the job. At just 140lbs, this asphalt crack sealer machine is highly portable. Easily roll it onto any trailer and you're ready to go. Operating your PROmodel is actually much easier than most people think. Simply use the electric start igniter and heat up your machine to 350°F. Once your machine is at a temperature of 350°F you can then insert the solid rubber cube of crack filler into the main kettle chamber. The crack filler will take approximately 10 minutes to melt down to liquid form. Once it's in liquid form you can now place your application spout above the closest crack that you're wanting to start with. Simply pull the trigger lever on the handlebar and allow the crack filler to flow through the applications spout into the scraper. The scraper is on a special pivot arm designed to follow the contour of the asphalt surface. As you approach certain areas that might be slightly depressed the scraper will actually follow that surface making sure that the crack filler is flush with a smooth sealed finish. You can push the machine at a walking pace and fill cracks. This allows you to earn money for every step you take. The other great thing about this machine is that with the 4-wheel construction it can actually turn on a dime and literally fill cracks that have 180 degree angles on them turning back the same way that you came. The 10 gallon melter PRO model is also ideal for a large parking lot owners or managers that are looking to maintain their own asphalt parking lot surfaces. The machine can literally be operated by a brand new user who has absolutely no experience in the asphalt maintenance industry. So, whether you're a seasoned pro or you're a complete newbie doing this for the very first time, the results are always excellent because of its simplicity to operate. If you own a sealcoating business and you don’t have equipment to repair cracks with hot material, we strongly recommend this investment. An analogy that we use is relating to the world of dentistry:. if a dentist only offered cleanings but didn’t offer fillings for cavity repair, they wouldn’t earn nearly as much. Contractors generally earn between $0.50 cents and 1$ dollar per linear foot when applying crack filler, making it a very profitable service to add to your business. Asphalt cracks are everywhere. Driveways, roads, parking lots, golf courses, airports, tennis courts, parks and more all have the need for crack repair and the RY10 PRO is the ideal professional grade machine to get the job done right. If you're looking for the best asphalt crack seal machine, we have the unit that is absolutely right for you and guaranteed to get the job done right. We spent more than 18 months developing this 10 gallon melter PRO model with a dedicated engineering team. The engineers spent countless hours developing the design, reliability and performance and also making sure that during manufacturing the unit was manufactured at a quality level that we warranty and stand behind. 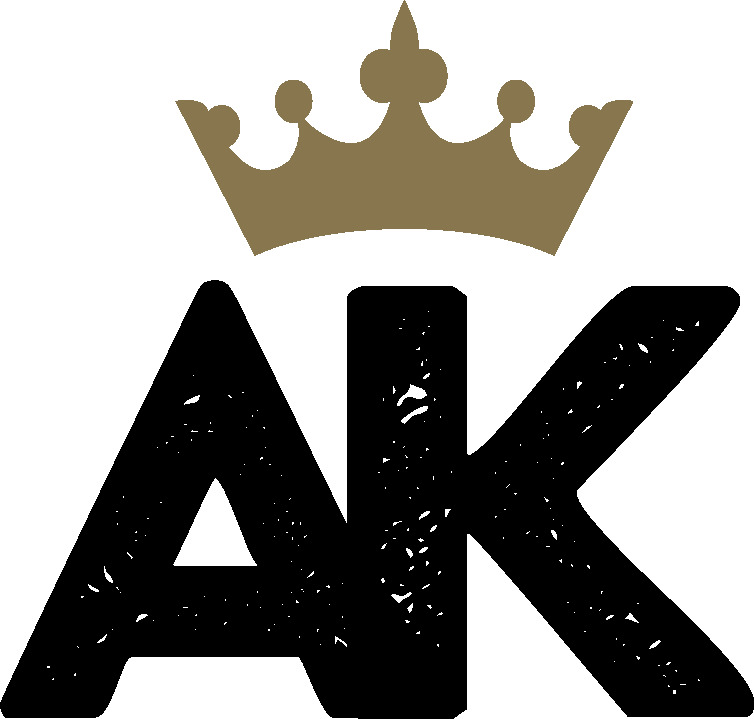 Having confidence in what we manufacture and what we sell is something that's very important to us. We understand that as a contractor or do it yourselfer you'll need the quality, efficiency, performance and reliability that's required to be able to get the job done right. Looking for additional advice on your perfect asphalt crack seal machine? Contact us at 1-866-399-5562 and one of our experts will be happy to assist you. How many linear feet does the crack fill cover? You get 6.7 linear ft of coverage per pound of crackfiller. This means you get 200 linear ft per 30 LBS box of crackfiller. 7,200 linear feet per half pallet of thirty six 30 LBS boxes and 15,000 linear feet with a pallet including seventy five 30 LBS boxes. How often should I clean my crack repair machine? It's good to clean it out completely after 5 uses; otherwise there is a possibility of charring rubber in areas where there may be multiple layers of rubber built up. To clean it, heat it up and scrape it out with a scraper on a broom handle. Then start fresh with a brand new box of crackfill. What should the pavement temperature be to crack fill? You can fill cracks as long as the pavement is 40°F or warmer. If it is colder but you need to fill cracks, use a heat lance to heat the pavement up before you apply it. What temperature does the crackfiller need to be to flow? The best temperature for heating your material to is 380 - 400°F (193 - 204°C) ; any higher than 400°F may severely damage product. Prolonged heating can also damage the product - heat it only when you are ready to apply it. How long can I keep unopened crack sealant? Our crack filler has a shelf life of 10 years unopened. It's why so many of our customers choose to take advantage our half-pallet and pallet offerings: the savings are so high it is worth storing them until you need them. It can be stored outside; just cover it with weather-resistant pallet wrap and keep it out of the sun. I have left over tar in my machine. Is it okay to leave it there and reheat it at a later time? Absolutely! You just have to heat it up again when you are ready to use it.